2014 has almost come to an end and the New Year is less than 24 hours away, which for me is a very scary concept. This year has flown by unbelievably quickly and has on a whole been a really good year for me. 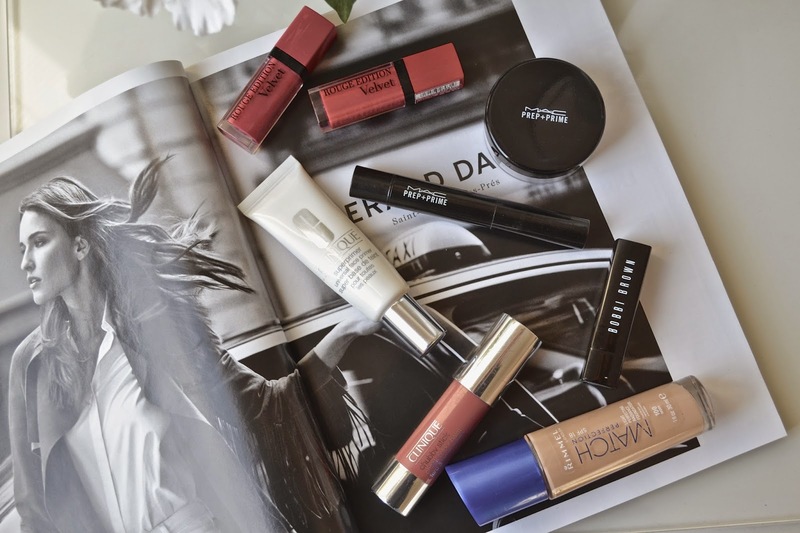 As a round up for the year, I thought I would share my top makeup products of 2014. I've picked six makeup products that I personally have loved throughout the year, the majority of them I've been using for the whole year and others are ones that I've discovered this year and have really stood out for me. The thing I love most about this highlighter is that it's on a brush so it's easy to apply and gives just enough precision for highlighting those tricky places like the bridge of the nose. It's so lightweight and the shade is perfect for brightening up under the eyes. I've been using this primer for over a year now and for me, it's my go-to base. It preps the skin perfectly for foundation application and has just become an essential part of my makeup routine. I got this lipstick all the way back in April and it was love at first sight, for me, it's a faultless lipstick. The colour is gorgeous and the formula is everything I would hope for. For me, this is a big winner! These were my best drugstore find in 2014. They are without a doubt the best liquid lipsticks I have ever tried. 'Hot Pepper' has been my favourite red lip shade for months now. There are quite a few reasons why this blush stood out for me this year. Firstly, I love the convenience of it being on a stick and how easy it is to blend into the skin with just my fingers. Secondly, it is such a lovely soft rose shade which is extremely wearable and gentle looking on the skin. Picking my favourite foundation for this year was so hard but I weighed them all up and decided Match Perfection won the spot. The reason I like this foundation so much is that it really doesn't cake the face and is so fresh feeling, I've re-purchased it the most and it's the one I would grab if I was running out the door. Hope you all have a lovely NYE whether you're going out or staying in! I really need to pick up Mac Light Boost asap!